Today we have reported that six Alcatel branded devices have leaked in online with model names and rendered images, which are expected to be released in 2018. The company has now officially launched the Cameo X smartphone in the U.S, which is now available on the AT&T carrier. It is offering a cost of $39.99 without having any plan and also providing this smartphone in installments that you have to pay monthly of 17.99 up to one year. 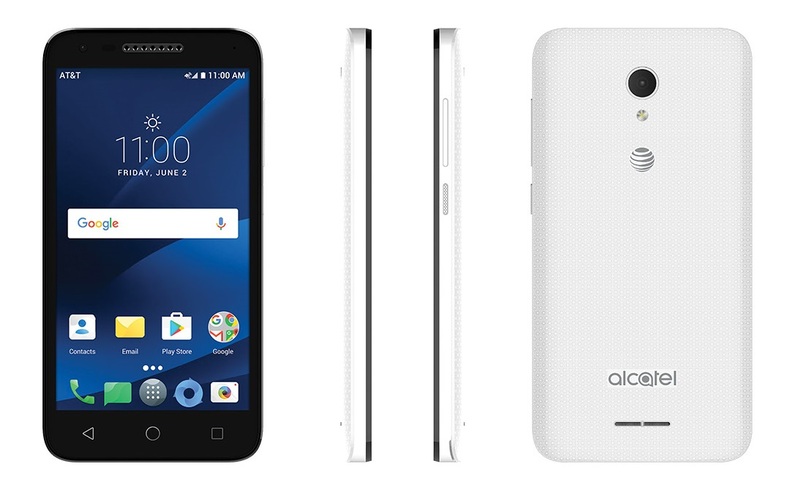 The Best Buy is offering this smartphone for the AT&T users with no plan selected or with a chosen plan, so, interested users can pick this smartphone according to their budget. This smartphone has made for entertainment and fun. With a micro-arctic back panel with a polished frame design, the Cameo X smartphone would provide easy on the eyes and comfortable to hold and use. It offers a 5-inch screen with a resolution of 854 x 480 pixels which has a Dragontril glass protection and enables the multi-touch screen up to 2-points. Under the hood, it comes powered by a 1.1GHz MSM8909 quad-core processor coupled with Adreno 304 graphics. The dual-SIM phone is running on the Android 7.0 Nougat operating system with pre-installed applications. The imaging department, it bears a 5MP rear-facing camera with LED flash, which is capable of recording videos at 30 frames per second and has a 2MP selfie sensor at the front for capturing selfies. The Alcatel Cameo X smartphone houses a 16GB of internal storage packed with 2GB of RAM. Interestingly, this phone supports an external memory card up to 128GB via microSD card slot. This phone supported connectivity options such as 4G LTE, 3G HSPA, Bluetooth, Wi-Fi, FM Radio, GPS and more. It is supercharged with a 2050mAh capacity battery which is rated to deliver a talk time up to 15 hours and lasts standby time around 500 hours.